Time is better to some shoes than others. We all love that new sneaker experience. The sound of unwrapping the tissue paper for the first time. That “new shoe” smell. Digging the stuffing out of the toe. It’s all part of the excitement of getting a new pair – even if you’ve experienced that exact thing hundreds of times. And while there’s nothing quite like putting on a pristine pair of sneakers for that first time, there’s actually something better. Some shoes – long after the box has been smashed, that “new shoe smell” has been replaced by a “feet smell,” and you’ve stopped caring about replacing the toe stuffing – actually look better. 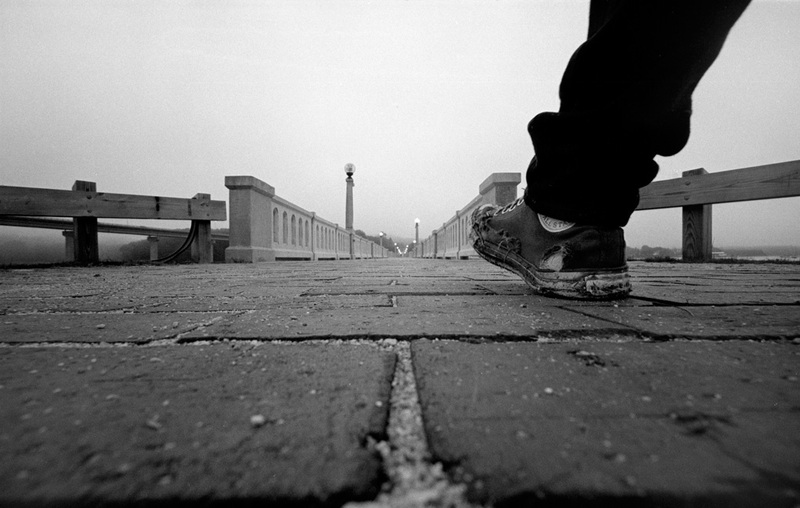 The Chuck Taylor has been as popular as it is, for as long as it has been, for good reason. They’re affordable, as well as durable. They look good new, but a well worn pair of Chucks can tell a story. 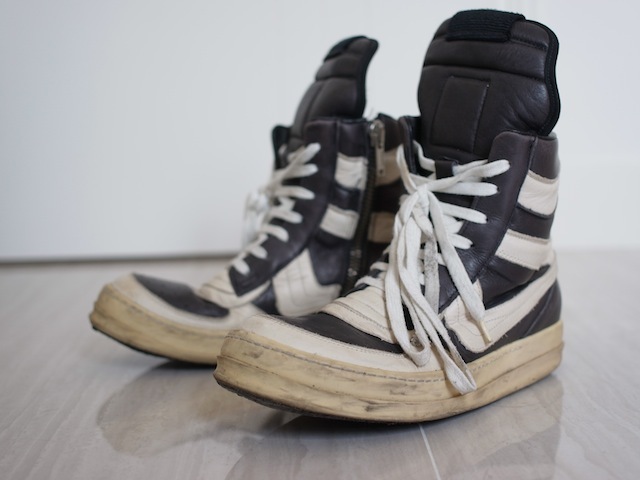 A Rick Owens sneaker may get its start on the runway, but thanks to a quality of leather that’s basically unseen elsewhere in the sneaker world, they age gracefully. The soles will need replacing long before the uppers have given out. 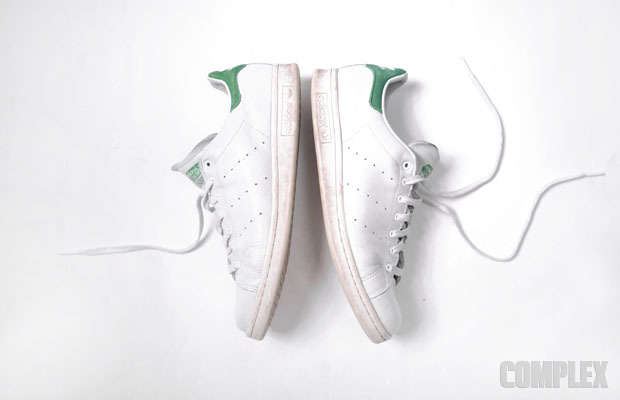 This year for lent, Complex’s Gerald Flores gave up wearing all sneakers but the Stan Smith for 40 days. The result? Despite not being made of the greatest leather, the shoes had much more character than when they were fresh out of the box. 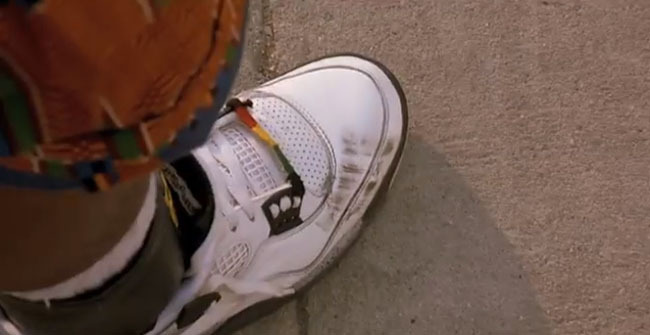 For sneaker fans, the most memorable scene in Spike Lee’s Do The Right Thing revolves around a pair of White / Cement 4s being scuffed with a bike tire. While the movie claimed the shoes were “fucked up!”, in reality, they actually looked pretty cool. While many pairs of the Yeezys out there have been permanently put on ice, only to be resold over and over, the Black / Solar Red version is a surprisingly versatile shoe for those that have actually worn it. Get your pair looking like something close to Pete Wentz's [add hyperlink], and you've got yourself an awesome sneaker. On the other end of the spectrum are shoes that look their best new. White-on-white Air Force 1s are classic. White-on-white-on-brown Forces? Not so much. 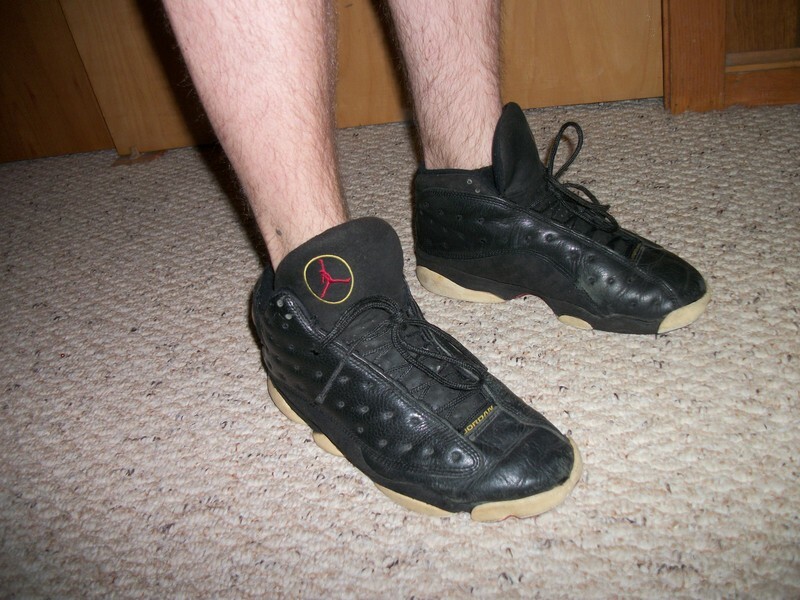 There are also shoes like that Air Jordan 13 that crease in a very unflattering way the second you take your first step. The most important thing though is to wear what you like. If you think dirty Forces are a good look, then go for it. What’s the point of having all those great shoes if some of them don’t get even a little bit dirty?